What are Danfoss Drives, and How Do They Work? 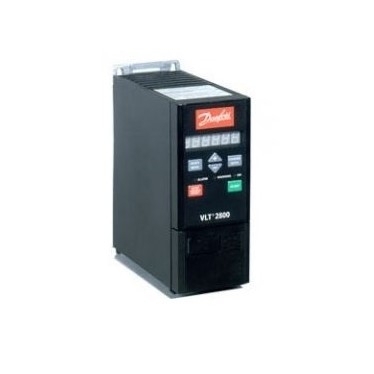 Danfoss drives are a specific kind of variable frequency drive motors. This is a controller manufactured by the Danfoss Corporation, the purpose of which is to provide variations of frequency and voltage to a specific electric motor. This variability stems from the Danfoss drive’s ability to control the frequency introduced to an electric motor. The higher the frequency, the greater the revolutions per minute of the electric motor produced. How Do Danfoss Drives Work? Conversion. The first stage of the work of Danfoss drives is the conversion process. This is completed through a device called a converter which has six separate diodes. These diodes operate in the same manner as check valves, as they only allow current to flow in one direction. There are three kinds of diodes and when the frequency is higher on any one of the three kinds of diodes, then the current flows to that specific diode. Depending on the pulsing diode, the variable frequency drive is able to perform its work. Conservation. One of the key functions of Danfoss drives is their control over motors attached to them. As a controller, the Danfoss drive is able to determine which of the motors are operating below capacity and thus is wasting energy. A Danfoss drive would be able to determine the speed of the equipment and its attendant load capacity. If the motor works below capacity, then it shuts down that specific motor allowing for greater energy savings in the long run. Danfoss drives provide benefits to their users. This specialized maker of variable frequency motors provides the major benefits these controllers provide. These benefits include its ability to prioritize the work load dependent on the frequency flow. This controller also helps in conserving energy, allowing only optimal usage to be performed at all times.